simple is the project template we prefer to use as our very simple example, while pdf-viewer is the name of the project we are creating. 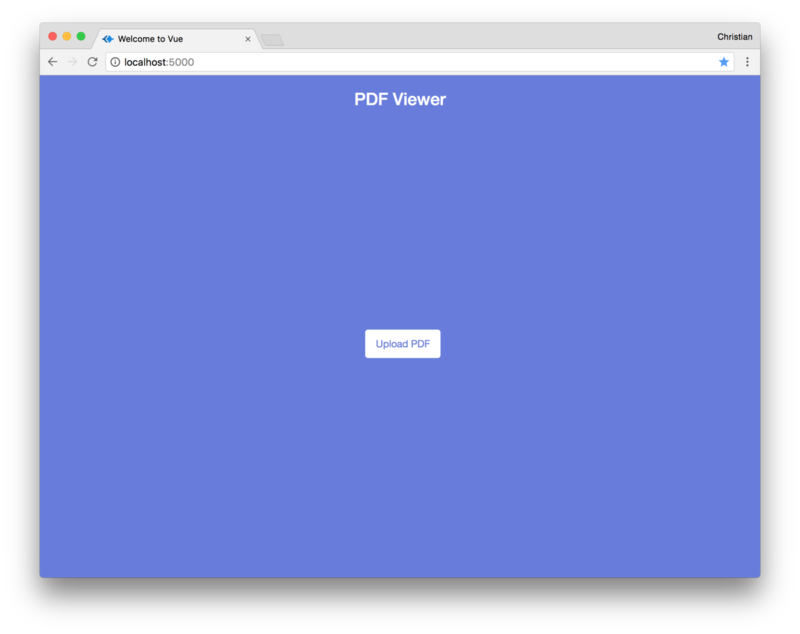 The first shows a large preview of the PDF pages and is only active when the file property on the Vue instance is not null. It has an image whose src attribute is bound to a preview property. The second row displays a thumbnail of the PDF as images using a pages array on the Vue instance. When each of the images are clicked, the selectImage method is called to update the larger viewer. Finally, the third contains a button to open the Cloudinary upload widget. The openUploadWidget method on the Cloudinary object takes a config and a callback method. The config must have at least a cloud name that is assigned on creating an account and an unsigned upload preset that can be generated from the settings dashboard. The callback function gets triggered once the upload is successful and is passed a payload of the upload information. Uploading a PDF file logs the result to the console. 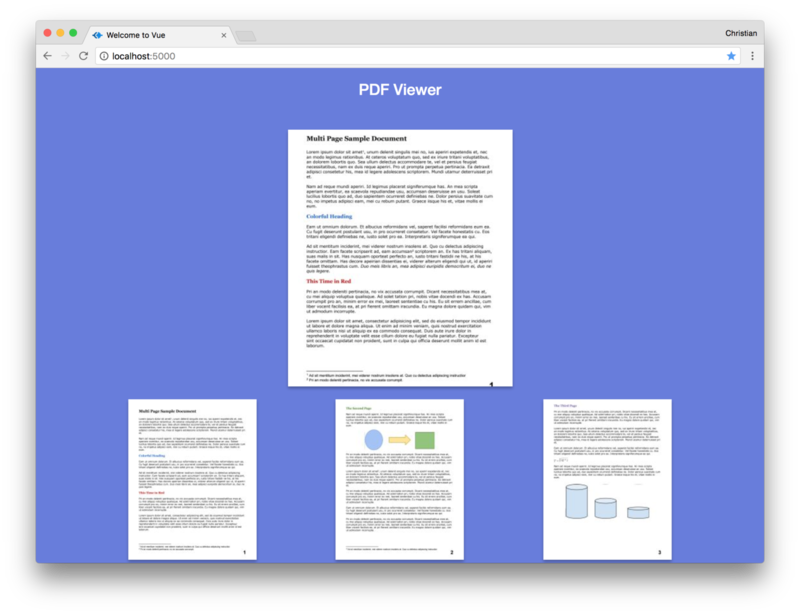 Hence, we need to start showing the PDF pages as image thumbnails on the view. Set a property preview with a large preview of the image using Cloudinary's URL transformation feature. We set the width to 350, height to 400 and page to 1. To convert the PDF page to an image, we just add an image extension at the end of the URL (.jpg). Secondly, we create smaller images (200 x 250) of all the pages in the PDF and store all the image URLs in a pages array. This array is iterated over and displayed on the view. All it does is update the preview property by setting the page URL to the selected page. Of course the width and height will be 300 X 400 to match the dimensions of the previously previewed image. To even get more strict with the PDF contents, you can use Cloudinary’s overlay feature to add watermarks to the images and protect the content. You can learn more about this feature from the docs provided by Cloudinary. 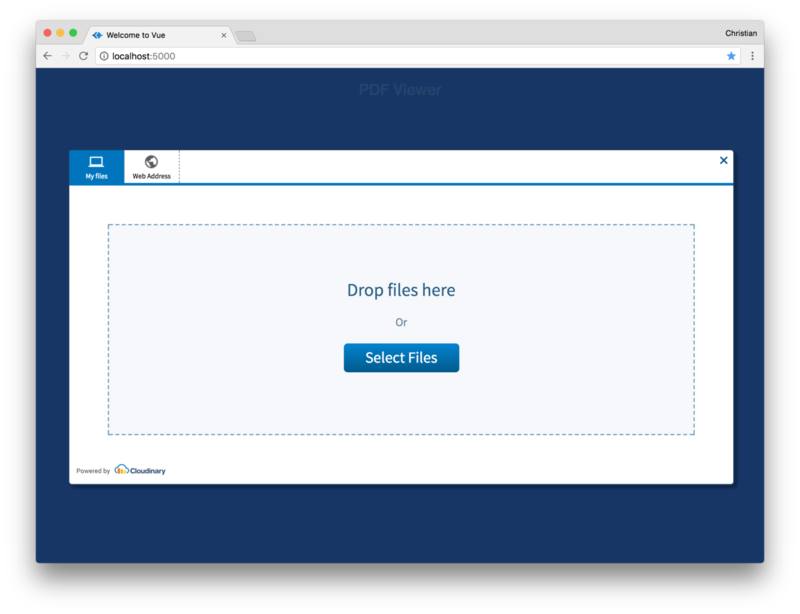 Cloudinary offers a lot more functionality for generating image previews and thumbnails from a PDF. Learn more about more about Cloudinary’s image manipulation capabilities, sign up for free to start using these features.